We get a lot of press releases, but unless it's something that we love or we think our readers will love, it tends to quickly get disposed of. Last week, I noticed a news blast that's definitely worth a mention for hummus fans, especially those of you planning an upcoming holiday party. 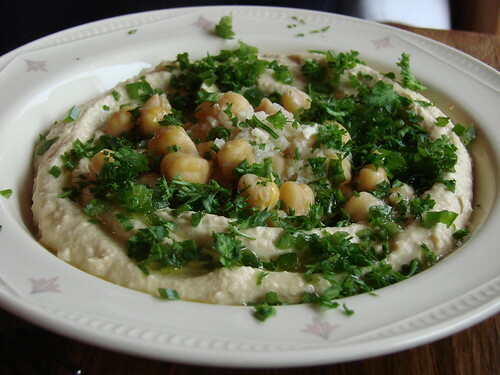 My go-to hummus spot (and the best in the city, in my opinion), Mimi's Hummus is now offering a full catering menu (with free delivery for $250). The winter menu is up on their website. And it includes not only their famous hummus and brunch dishes, like their shakshuka and super tasty Mimi's sandwich, but also soups and mains like lamb meatballs and Moroccan salmon. We hosted Little B's first birthday party with his grandparents at Mimi's, but if we were having a larger crowd, I would definitely consider the catering option. They do need 7 days advance notice, so keep that in mind if you are planning for the upcoming holidays.